I found her! This is the one! 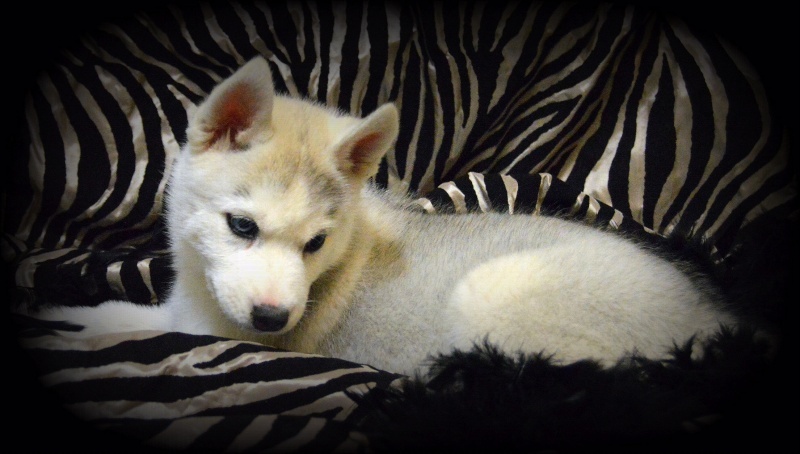 If you read my first post, you know I was asking for advice on choosing a reputable breeder. Many of you were very helpful, as well as many SHCA members that I contacted via email and Facebook. I was looking all over the country, and turned down a lot of beautiful pups because everything wasn't "just right". 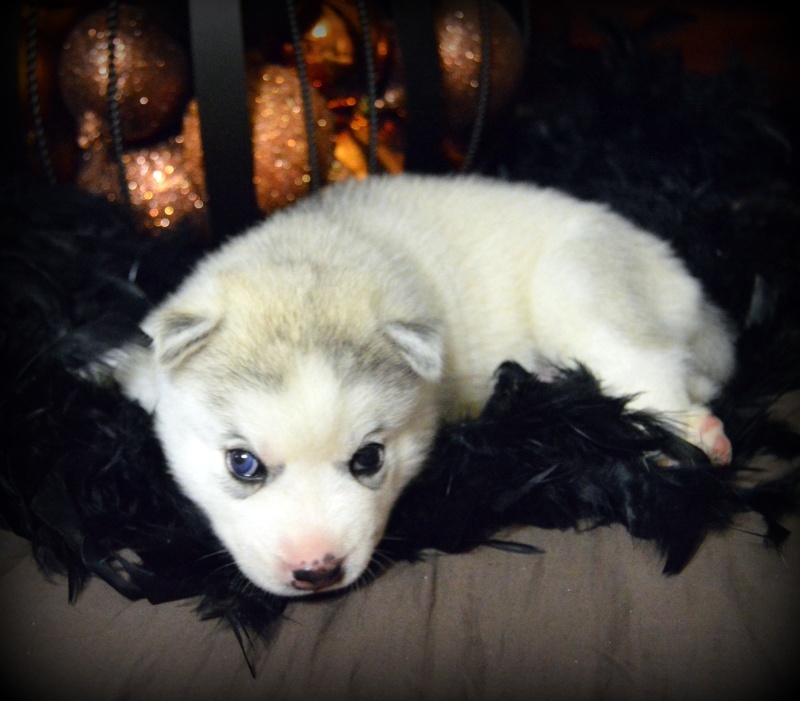 One breeder I contacted was Mirage Siberians out of Texas, who is listed as a an AKC Breeder of Merit. She happened to have a litter on the ground, and we began interviewing one another. 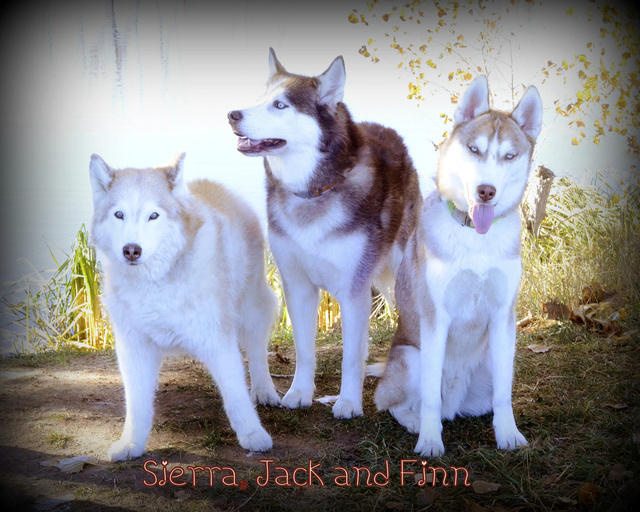 Initially I thought I would be disappointed because her females were a lighter color than I'd hoped for, but then she sent me pictures of the sire and dam and they took my breath away - absolutely stunning dogs. 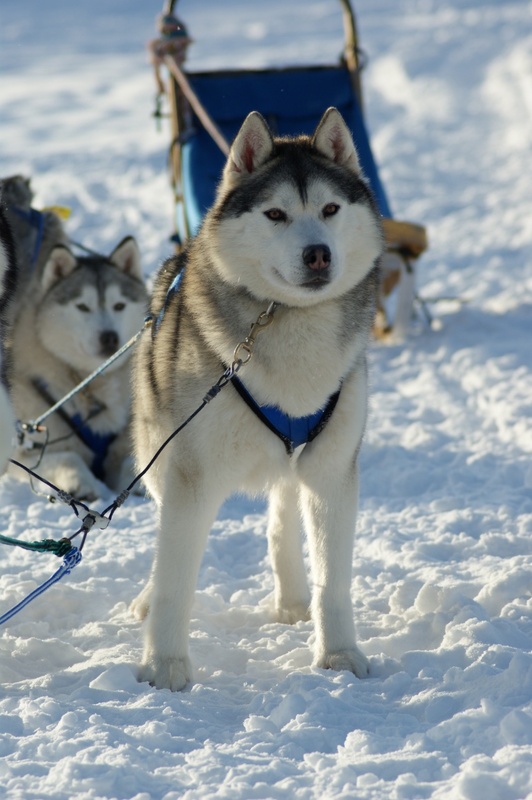 The dam is halfway done with her AKC Champion, and the sire is an AKC Champion that has almost completed his Grand Championship, and has his Sled Dog title. Together, they made this beautiful girl that has stolen my heart. 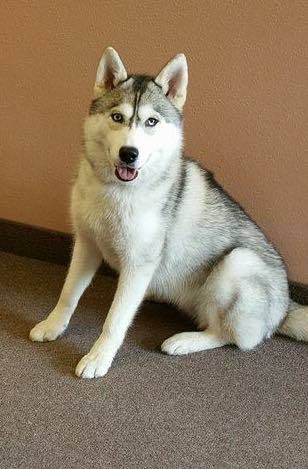 She comes home to me next Sunday! Of course I will post updated pics! Your little girl is adorable, congratulations! You have a name for her yet? Oh so sweet Is she going to be bi-eyed? And looks like a silver, maybe? Congrats!! She is a cutie!! Your patience paid off. Can't wait to see more pics of her. I have a couple of names in mind but I may have to meet her to decide. She is registered as CloudPeak's Pure Iridescence. 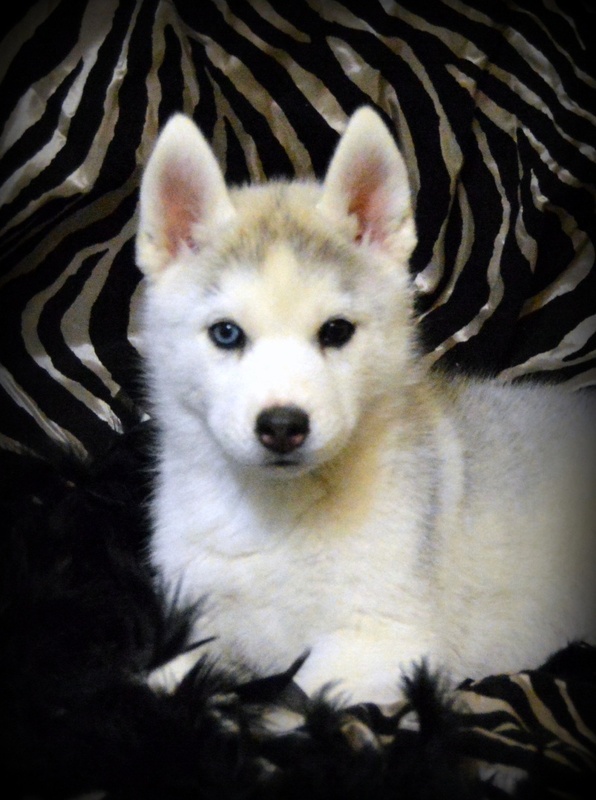 I'm leaning toward calling her either Denali or Sierra. Both names have special meaning for me. We'll see! Oh she is so precious!! Both are beautiful names! Yes! She is grey with one blue and one parti eye. I can't see the parti in this pic but no matter, she is a stunner, that's for sure. I wish you patience for the wait...you must be soooo excited. We have an amber, blondie also, mom was a champion from Canada. Get ready to here a lot of " she's beautiful".....cause she is....enjoy !! can you share mom and dad pics? is she being flown to you? I'm driving to Texas to pick her up Sat/Sun. It's about a 10 hr drive from here, not too bad. Hey...you have your red in a sailboat on Superior? How does she handle the sun and the heel? And, do her nails dig up the deck? Subject: Re: I found her! This is the one!